Fifth Avenue Collection - Canada. Life Of The Party! 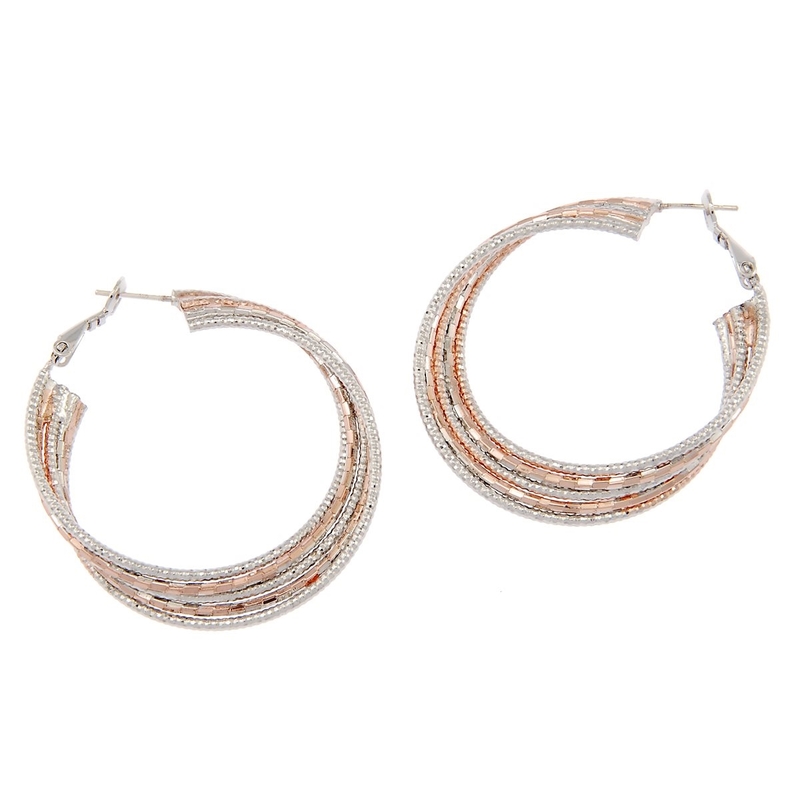 Be the "Life of the Party" wearing this sizzling twist on classic style by Fifth Avenue Collection. 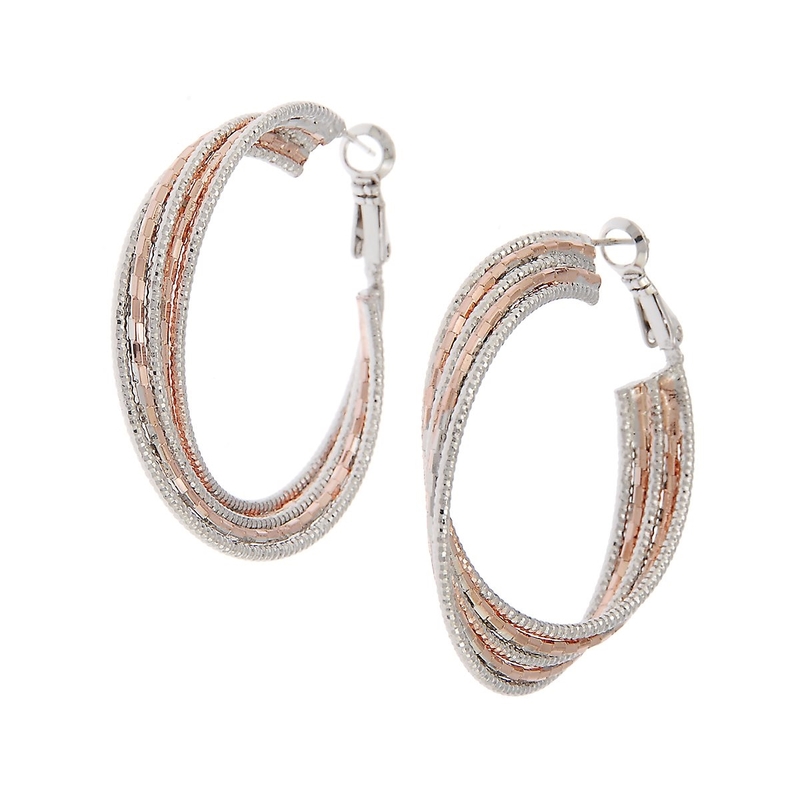 Five stylized hoops featuring beaded rhodium-finish and ridged rose gold bring stunning, current fashion to your selection of fine accessories. Exclusive presentation on an easy-wear hinged backing with sterling silver posts.